A few dozen people have signed up to receive email updates to this blog, which I’ve used Feedburner for in the past. However, I realize that I don’t have much control over how Feedburner does things, and I’ve finally decided to do something about it. 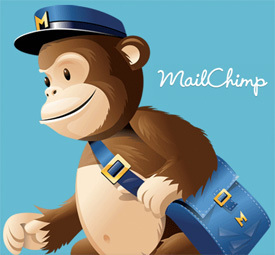 Now, I’m changing over to using MailChimp to send out the blog updates using their RSS campaign feature. Using MailChimp, I can have my blog updates emailed out using a custom template, which I’ve styled to look very similar to my actual blog. Now, maybe my choice of colors and style needs serious help, but at least now I have the option, where I didn’t before. What this all means is, if you’d like to receive (or continue to receive) emailed blog updates, you’ll need to subscribe to this new list. (Sorry!) To make that easier, I’m including a sign-up form below. Should I start another blog? Mark Jen’s blog says I have bad “spam karma”! Filed Under: Blogging, Dossy, Dossy and more Dossy! funny timing. I just did this with my own blog, with mailchimp, last week. Added a little form to my site about it. Removed first/last name from my signup form though.. figured I’d make it as easy as possible. http://www.tursi.com, top right. As for me personally, I’m still perfectly happy getting your blog updates via rss in g reader. Heh, I’ve always been impressed by MailChimp’s offerings, especially at the low end/free offering. I’m hoping that this change to MailChimp will help me focus my attention towards building my audience and really making more of my social media activity. It helps me think about different things that I might want to explore at work, but in an environment that I can control and test different kinds of things. Ugggh………next thing I know I’ll be receiving affiliate marketing links from your mailing list. Hey, I can’t force people to subscribe, but if and when they do, I want to make it as valuable to my subscribers as possible. Can you drink a gallon of milk in half an hour?